OMNIFOCUS has been on my mind lately, as I've been looking for a better way to keep myself on track with the complex load of projects in my life. I'd been using Things on the Mac, iPhone and iPad, but for various reasons, wasn't satisfied with how it was working for me. I'd been hearing good things about OmniFocus from Kevin Farner, Shawn Blanc, Merlin Mann and others I follow. 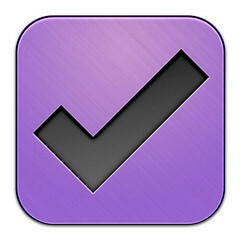 Last weekend, I decided to jump in and pick up the Mac and iPhone versions of OmniFocus. It's been less than a week, but already I'm happy I've made the switch to OmniFocus. It's powerful, but I especially appreciate the multiple ways I can view the same tasks: by project, by context, by due date or even in a custom view. While I'm still very much an OmniFocus newbie, I wanted to share some resources for others who might be considering OmniFocus or seeking more information about how to work best with OmniFocus. Hopefully these resources will help those interested in OmniFocus to make the jump or provide good reference for current users of the tools. If you have additional resources I can add here, please leave a comment. Let me commend to you a series of posts over at http://www.asianefficiency.com/omnifocus/. Over the years I've read all of the resources you've mentioned. Left me - and my implementation of OF - unsatisfied. In fact, I had switched away from Omnifocus to Evernote - but foreseeing some major changes in direction I wanted to find some other tool for inventorying tasks. The above mentioned series which I started to read about 4 hours ago gave me several very useful insights, so I've dusted off OF, scraped it clean and was in the process of a full rebuild right now. Thanks Bob! I'll check it out. Just added the Asian Efficiency link up in the article itself Bob - thank you! I'm also a newbie on OmniFocus. Still learning and coping. I just hope I won't be tired of discovering all its features. Glad to hear you're giving OmniFocus a try - I'm enjoying it!